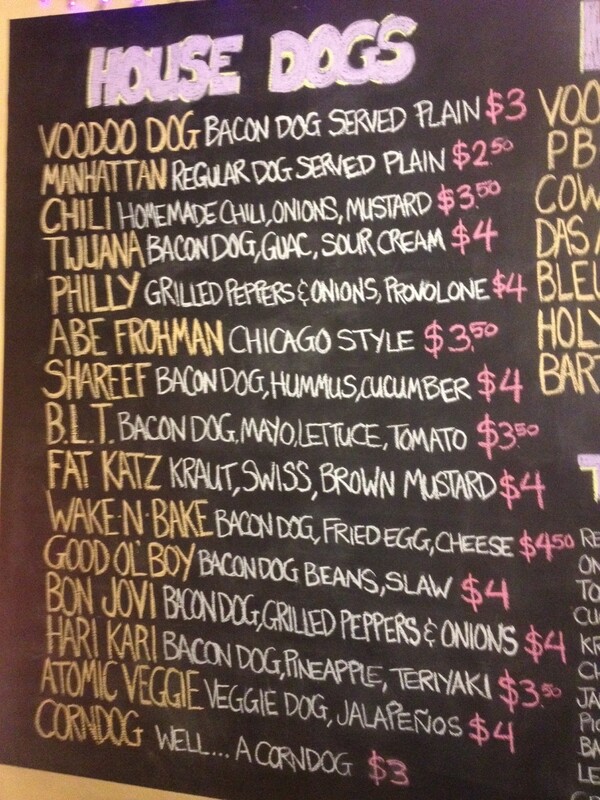 Voodoo Dogs have that Black Magic! 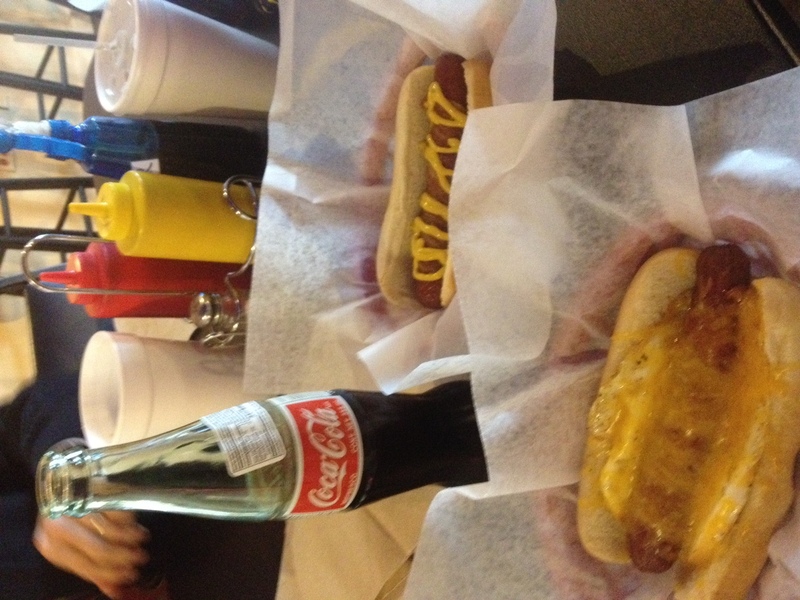 Had my first Voodoo Dog experience today and was very pleased! 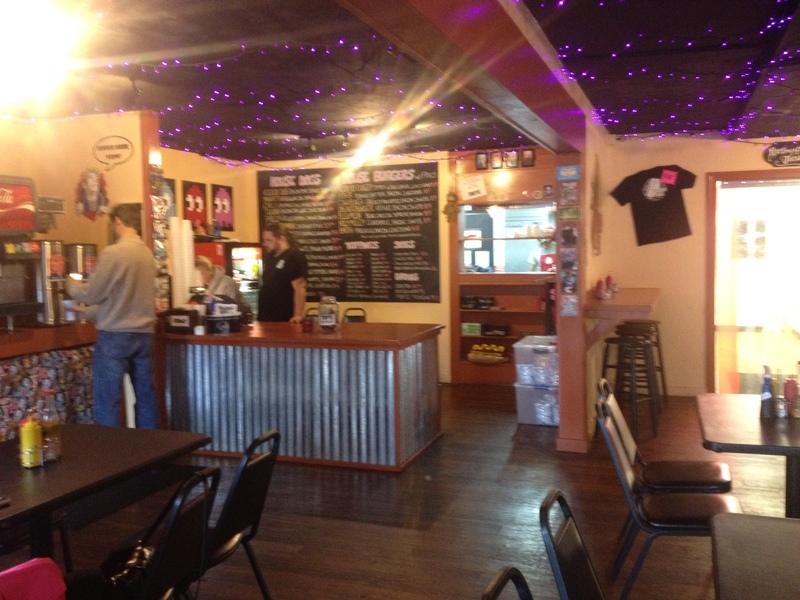 The inside has a club like feel with lots of 80’s and 90’s movie, music and video game tchotchke. The hot dog menu is impressive. 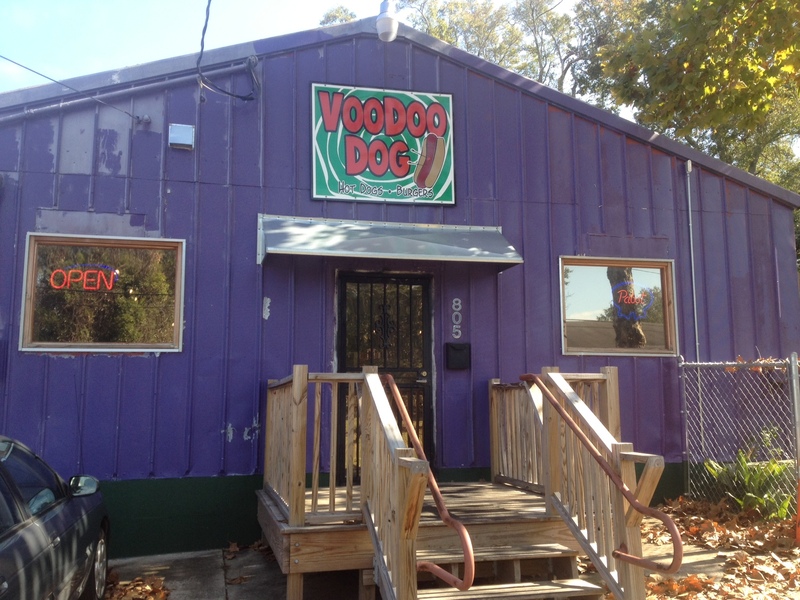 The biggest difference between it and Dog et All is the Voodoo dogs are fried instead of steamed. I would not say one is better than the other- just different. Voodoo Dog has some unique toppings. Bacon Wrapped, Fried eggs, Hummus, Pineapple, and Guacamole to name a few. Ordered a Wake-N-Bake- Bacon and fried egg hotdog and a Voodoo dog- bacon wrapped with mustard and relish. Both were great! And they have Mexican Coke!! 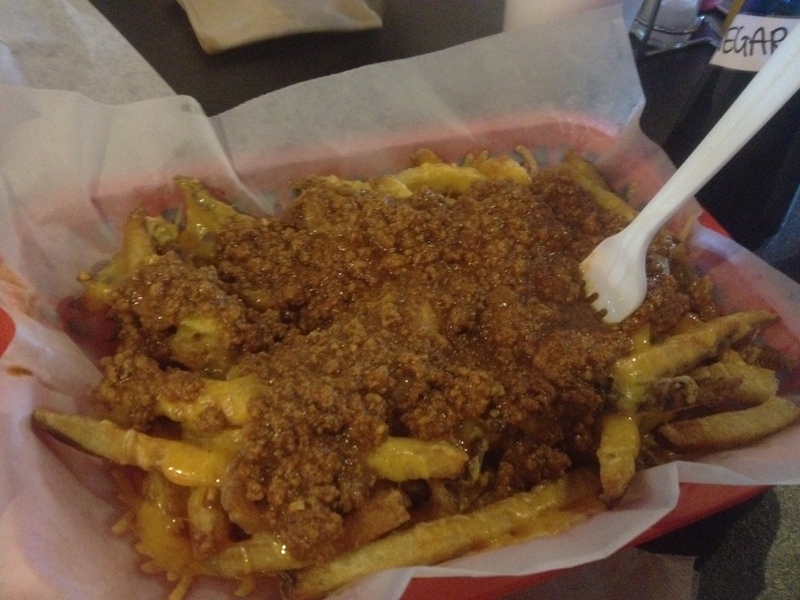 If this was not enough I split an order of Chili Cheese fries. Absolutely enough to share with three people.